Tonight I went with to the Jarre concert in Copenhagen with my buddy, Jim. Jean Michel the three other guys are on the 2008 Oxygen tour and they delivered a magnificent experience to the thousand spectators. 'Oxygen 30'th anniversery edition' sounds a bit like revival? Yes, but with the environmental issue "hotter" than ever, and being one of my favorite albums it's pretty darn ok. 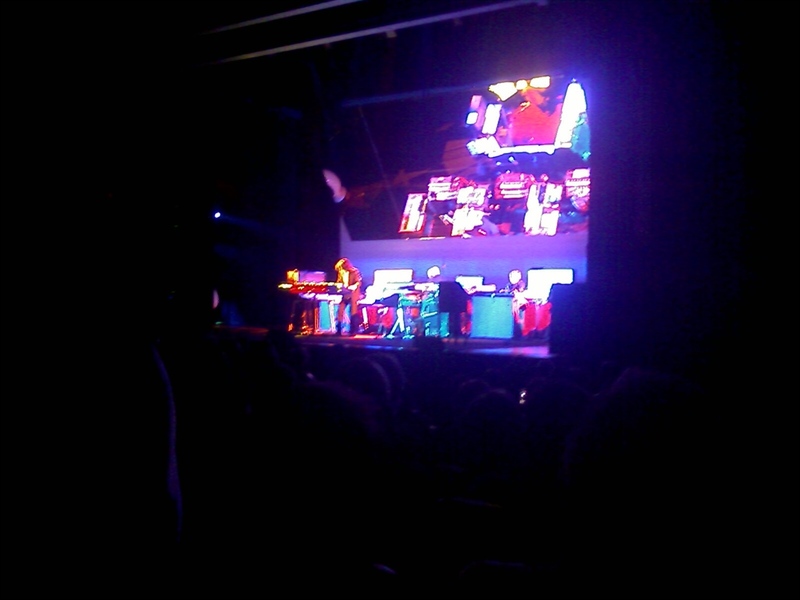 In fact, they performed the tunes live on the original 80-25 year old equipment: From the theremin to the minimoog. No sequenced or sampled phases. Very cool indeed.